City Hall has added dozens of new names to its Municipal Names Registry that it can now draw on for any new streets or parks or the like. 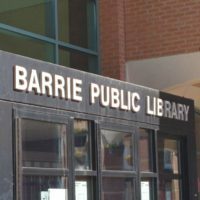 The current list had run dry; City Hall needed to repopulate that list, and got to work coming up with names that bear some significance to Barrie or the area. Names came via a variety of sources, including suggestion from the public, and couldn’t be repeats of existing names around the region so as to avoid confusion. Aurora: Named after the Aurora Borealis, known for being Canada’s most notorious natural feature that can be viewed all across the country. Banff: Named after a town located in the Canadian Rocky Mountains and is along the Trans-Canada Highway. Breton: Named after Cape Breton in Canada, which derives from the Basque Cap Breton, a location near Bayonne France. Fundy: Named after the Bay of Fundy in Canada, known for the world’s highest tides. Great Lakes: These lakes make up the largest body of fresh water on earth. Jasper: Named after the centre of Jasper National Park, located in the Canadian Rockies. Laurentian: Named after the Laurentian Shield or Laurentian Plateau. Northwest: Named after the Northwest Territories of Canada. Okanagan: Named after the Okanagan Valley in south-central British Columbia and is originally home to the Okanagan First Nations. The area is one of the largest producers of fruit and wine in Canada. Tofino: Named after the famous district off of Canada’s west coast and is characterized by wild natural scenery. Beckwith: Named after Beckwith Island in Georgian Bay, which is the eastern of three islands in southeastern Georgian Bay in Ontario. Christian: Named after Christian Island in Georgian Bay, which is the largest island in Georgian Bay. Garnet: Named after Garnet Island in Lake Simcoe. Grape: Named after Grape Island in Lake Simcoe. Hope: Named after Hope Island in Georgian Bay, which is the northern of three islands in southeastern Georgian Bay. Mara: Named after Mara Point in Lake Simcoe. Strawberry: Named after Strawberry Island in Lake Simcoe. Thistle: Named after Thistle Island in Lake Simcoe. Thorah: Named after Thorah Island in Lake Simcoe. Burleigh: Named after Burleigh Falls, a geological feature that is connected to the Trent-Severn Waterway. Cache: Named after a freshwater lake located in Algonquin Park. Chapleau: Named after the lake that is home to one of the world’s largest wildlife preserves and is known for its logging mill in Ontario. Clear Lake: Named after a freshwater lake located in Algonquin Park. Little Hawk: Named after a freshwater lake located in Algonquin Park. Matchedash: Named after a lake and cottage country area located in Simcoe Country, attached to the Trent-Severn Waterway. Mattawa: Named after the waterbody that was first passed through by Samuel de Champlain. Mordolphin: Named after an area and small water body located in Simcoe Country, attached to the Trent-Severn Waterway. Otter: Named after a lake located in Simcoe County, attached to the Trent-Severn Waterway. Pinecone: Named after the natural feature that comes from a variety of Canadian tree species such as the pine tree, spruce tree, cedar tree and hemlock trees. Rosseau: Named after a well-known popular lake located in Muskoka. White Partridge: Named after a freshwater lake located in Algonquin Park. Beachcove: Represents Barrie’s waterfront community of beaches. Blue Anchor: Represents Barrie’s waterfront community and the popular J.C. Morrison shipwreck located along our shoreline. Bluestem: Named after a flower species that is frequently found in Barrie and Simcoe Region. Daisy: Named after a common flower species that can be found in Ontario. Mallard: Named after a common bird species that frequents Barrie and the rest of Ontario. Magnolia: Named after a common flower species found in Ontario. 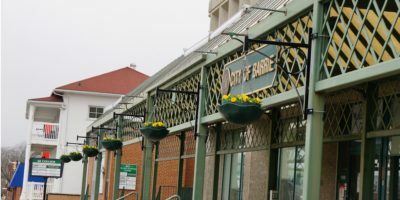 Northgate: Barrie is the gateway to northern cottage country. Red Maple: Common tree species that is found in Simcoe County. Underhill: Named after the Underhill family which owned the Underhill Shoe Factory in Barrie. Yachtsman: Named after Barrie’s harbour front community and reflects the vast amount of marine activity and boat launches located around Kempenfelt Bay. Walsh: Named after Roy Watson Walsh (World War 2 1939-1945). Adamson: Named after General Sir Peter Adamson in recognition for his considerable military services and rank. Dallaire: Named after Romeo Dallaire, a Canadian army officer who led the ill-fated United Nations peacekeeping mission in Rwanda. Gladestone: Named after James Gladestone, who was a Canadian politician who became the first status Indian to be appointed to the Senate of Canada. Gretzky: Named after Wayne Douglas Gretzky and is a notable Canadian hockey player known for his hockey world records. Hadfield: Named after Colonel Chris Hadfield who was the first Canadian astronaut to live aboard the International Space Station. Pearson: Named after Lester Boweles Pearson, whom is known for his work as a diplomat of the 1950s and 1960s and formulated its basic post World War 2 foreign policy. He received the Nobel Peace Prize for his diplomatic efforts in facilitating Britain’s and France’s departure from Egypt during the Suez Crisis. Secord: Named after Laura Secord (no relation to the chocolate company), who is considered a Canadian Heroine of the War of 1812, known for having walked 32 km out of American-occupied territory in 1813 to warn British forces of an impending American attack. Suzuki: Named after David Takayoshi Suzuki, a Canadian of Japanese parentage who is an award-winning scientist, environmentalist and broadcaster. Gatehouse: To describe a street geographically located at the access of a development or community. Gateland: To describe a street geographically located at the access of a development or community. Greenview: To describe a street that is in proximity to a designated park space or natural heritage feature. Hatchway: To describe a street geographically located at the access of a development or community. Lake Hill: To describe a street that is in close proximity to a water feature or has a view of a water feature, such as Lake Simcoe or Kempenfelt Bay. Lake Pine: To describe a street that is in close proximity to a water feature or has a view of a water feature, such as Lake Simcoe or Kempenfelt Bay. Middleton: To describe a street that is located in the central portion of a development. North Wind: To describe a street geographically heading north. Northampton: To describe a street geographically heading north. Northerly: To describe a street geographically heading north. Parkland: To describe a street that is in proximity to designated park space. Passage: To describe a street geographically located at the access of a development or community. Pathway: To describe a street geographically located at the access point of a development or community. Southdale: To describe a street geographically heading south. Southwick: To describe a street geographically heading south. 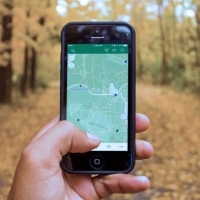 Trailside: To describe a road that is in proximity to a park space or trail system. True North: To describe a street geographically heading north. West Grove: To describe a street geographically heading west. Westford: To describe a street geographically heading west. Westmore: To describe a street geographically heading west. Weston: To describe a street geographically going towards the west. Woodsdale: To describe a street that is in proximity to a designated park space or natural heritage feature such as a woodlot. Hopper: To be named after Edward Hopper, the well-known realist painter and printmaker (1882-1967). Matisse: To be named after Henri Matisse, a famous French artist who is well known for his use of colour in his paintings, printmaking, sculptures, drawings and collages (1869 – 1954). Monet: To be named after Oscar-Claude Monet, the famous French painter and creator of the term “impressionism” that derived from a well-known title of his painting “Impression” (1840-1926). Picasso: To be named after Pablo Ruiz Picasso, a famous painter, sculptor, printmaker, ceramicist, stage designer, poet and playwright (1881-1973). Raphael: To be named after Raffaello Sanzio da Urbino, known as Raphael, a painter and architect of the High Renaissance (1463-1520). Rivera: To be named after Diego Rivera, a well-known Mexican painter who was known for his large mural art (1886-1957). Rockwell: To be named after Norman Percevel Rockwell, a famous author, painter and illustrator and was awarded the Presidential Medal of Freedom (1894-1978). Warhol: To be named after the famous artist Andy Warhol that was known for his printmaking, painting, cinema and photography (1928-1987). Bluebird: Bird species located in Ontario. Bobwhite: Quail species located in Ontario. Finch: Bird species located in Ontario. Flicker: Named after the Northern Flicker, a bird species well known to Canada. Harrier: Named after the Northern Harrier, a bird species from Northern parts of Canada. Kite: Bird species located in Ontario. Mockingbird: Bird species located in Ontario. Nighthawk: Bird species located in Ontario. Shearwater: Bird species located in Ontario. Songbird: Bird species located in Ontario. Sparrow: Bird species located in Ontario. Turnstone: Bird species located in Ontario. Waxwing: Bird species located in Ontario. Privet: Named after the street that Harry Potter lived on. Sherlock: Named after Sherlock Holmes. Wuthering: Named after the popular novel “Wuthering Heights”.